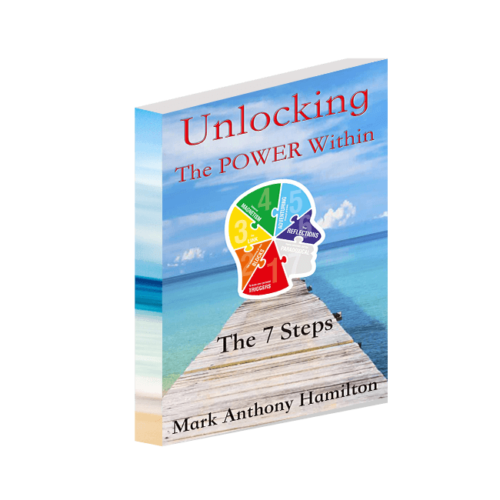 Unlocking Your Life was established by Mark Hamilton in 2015 as a result of wanting to help families, communities and the world to live in the now rather than in a reactive state. 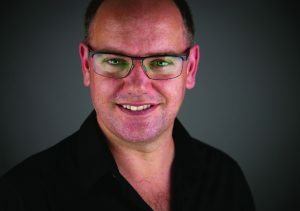 Mark was born in Cooma, Australia, and lived in a small country town in the Snowy Mountains. During primary school Mark was a very active boy, never sitting still and was quite sporty too. Mark had an entrepreneurial spirit setting up a little business mowing the lawns of people in his town. This was a blessing in some ways as it kept him busy but it also helped him avoid life, and it was the beginning of an unhealthy relationship with food. Over the years and into high school Mark struggled with school and friendships had become very withdrawn, reinforcing his unhealthy food relationship. He felt out of place and would mask his awkwardness with humour and privately binge eating. Following years of torment from the school bullies, and his boss at his apprenticeship Mark had developed such low self-esteem and self-worth that he began medicating himself with the one thing that was inexpensive and easy to access: junk food. Along the way Mark was experiencing things he couldn’t explain and thought there was something wrong with him so kept dismissing the little messages he was receiving and the aches and pains that he was feeling even though he hadn’t been hurt. Later he would recognise these feelings as empathic symptoms. Mark completed his carpentry and joinery trade and began his own pergola and deck business while he was working for a bathroom renovation company. Eventually Mark moved to the Gold Coast, met his now wife and they began their own bathroom renovation business. Over the 11+ years the business won multiple awards including QLD Bathroom designer of the year, multiple “Bathroom of the Year” awards and completed almost 700 bathrooms. Mark once again began to feel lost, his passion for renovations had gone as he noticed more and more people were living in their pain. He started his own personal development journey with the ManKind Project and felt at home. Mark wanted to change things for himself and for others so he closed his business, got into teaching carpentry and plumbing as he knew he wanted to help the younger generations in some way then after 1.5 years realised this was not his path either. Now with2 children and while continuing his volunteer work with MKP Mark had an urge to completely change his profession, he had found his passion for helping others with their emotions and went to university and completed a psychology degree and gestalt therapy graduate certificate, as this is the way he thought was best suited to society. After study the family grew as baby number 3 and 4 were born and Mark realised this “medical” approach wasn’t totally congruent to what he had imagined and slowly began to allow his natural empathic gifts to come forward. Mark found a combination of several different modalities was the best fit to help people and the most socially acceptable. After mending his unhealthy relationship with food which had become a 25year long food addiction Mark wanted to free others from the same death sentence he had once faced and began developing programs and workshops to help people overcome emotional eating. This however proved very difficult as he found marketing hard and no matter how hard he tried, he wasn’t able to make this his full-time work to support his family. He then wrote his first book “The 7 Steps to Stop Emotionally Reacting” as he thought if people don’t want to attend workshops maybe they would read about it, however again this didn’t prove to be enough to provide for the family and they were running out of money fast, so Mark reluctantly went back into carpentry work, while he explored and developed his skills as a medium. 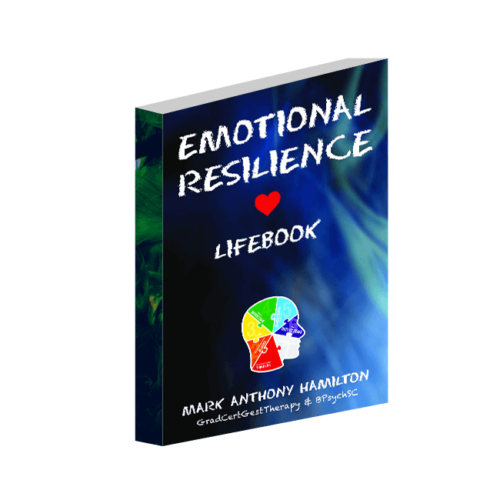 During this time Mark started seeing some patterns in the clients he was coaching and reading so he began addressing these issues on paper and so his second book “Emotional Resilience ~ Lifebook” had begun. The book quickly became a priority as he was guided to create a step by step, activity filled book to help people work through some of their triggers that were creating emotional reactions in their everyday life, thus helping those who were not yet ready for coaching or who were needing an alternative until they could embark on further personal development sessions and deeper soul solutions. Now Mark has 5 children and he along with his wife are sharing their passion to help the health and wellbeing of others through Soul Medium sessions, Emotion Coaching, Nutritional Cleansing Programs, and the sale of his books. At Unlocking Your Life, we hope you find our information helpful and look forward to assisting you along your journey to making your life the amazing one it’s meant to be. “Making a difference to the world is important to me, far too many people emotionally avoid life and are stuck, I know I can change that.” ~ Mark Hamilton. Are you ready to live life?